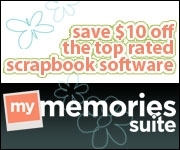 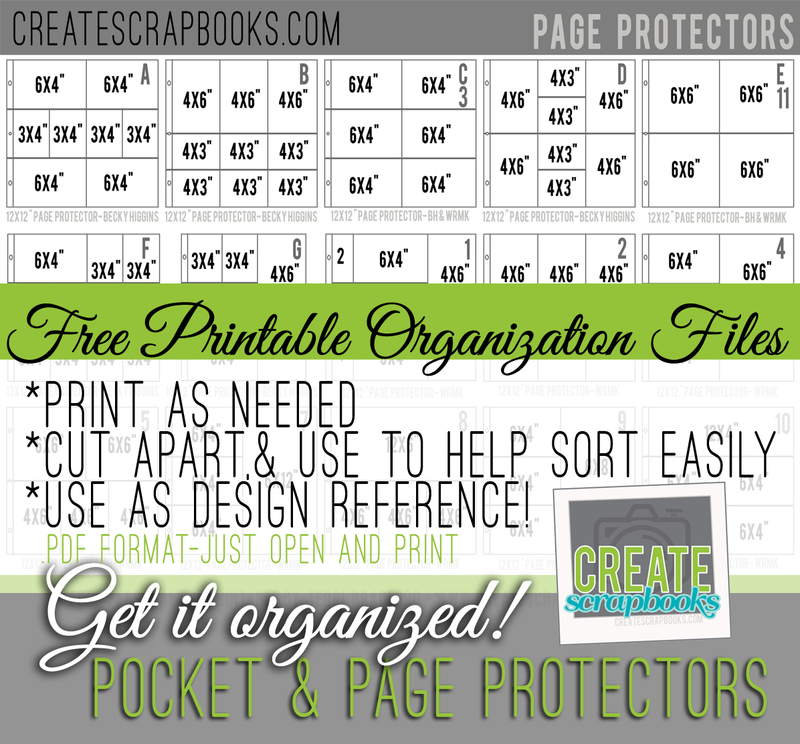 Create Scrapbooks – Get It Organized: FREE Pocket and Page Protector .pdf Files to download and print – Personal Use Only. 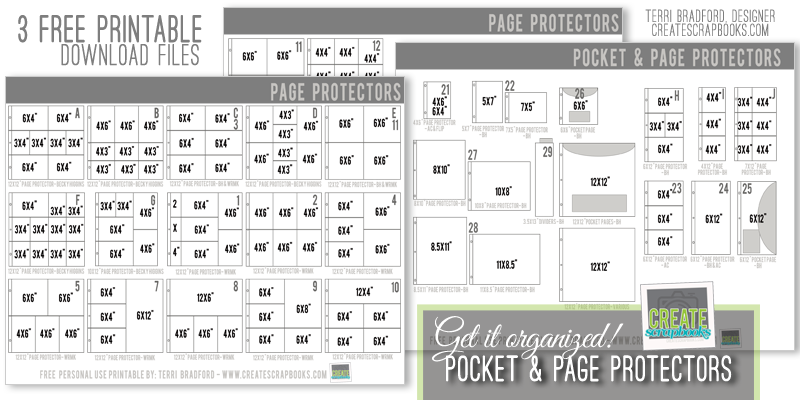 Print these FREE organization files and use them to get your pocket and page protectors organized! 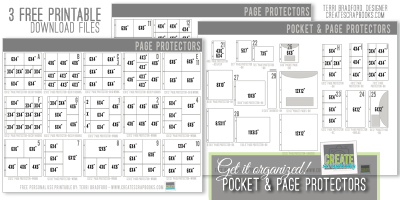 3 – sheets of 8.5×11″ printables that coordinate with the Project Life style of pocket and page protectors. 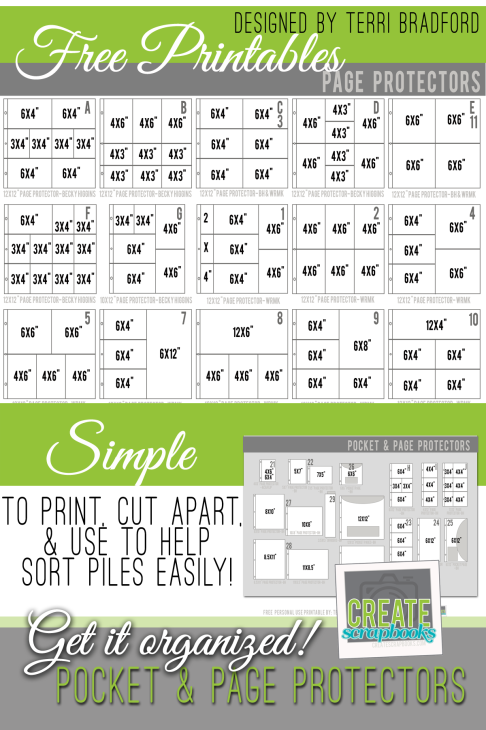 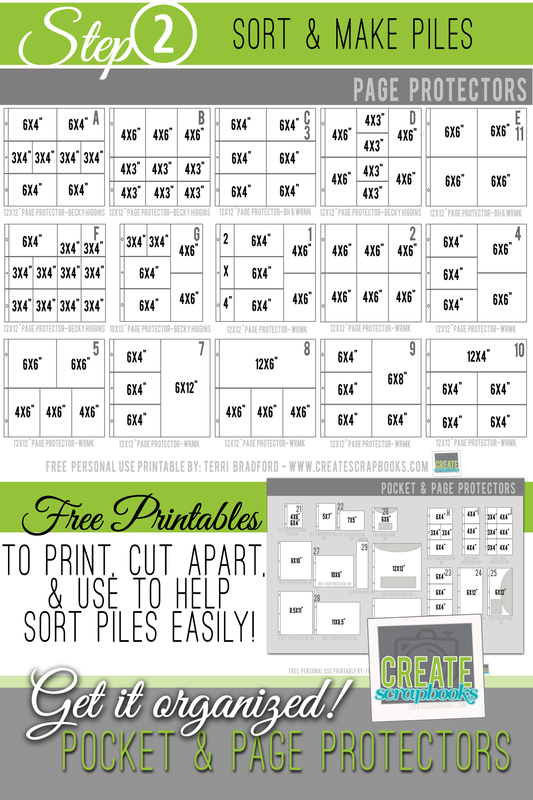 Cut them apart or leave them as a whole sheet to help you get organized. 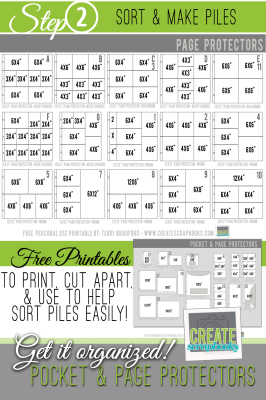 There is 1 more sheet of free printables (6×8″ protector sizes) in our shop – make sure to add them all to your cart and use them in coordination with this new sheet I created if you need those, too! 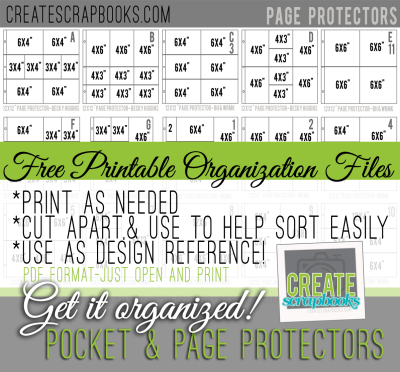 Disclaimer: Create Scrapbooks is not affiliated with Project Life, or any other products mentioned in these free printable photo pocket page and page protector organization files for Project Life. 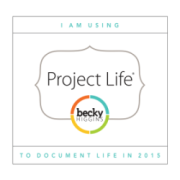 These are personal-use free files.